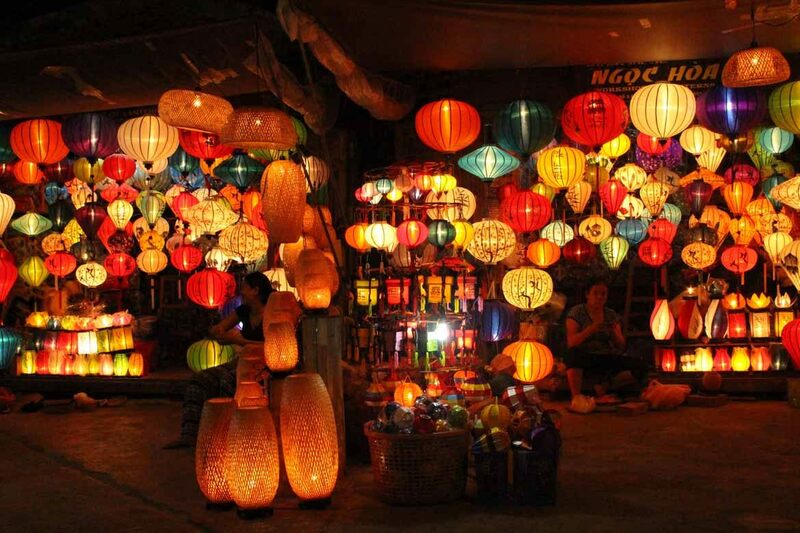 Hoi An Lantern Festival is one of Southeast Asia’s most popular events. For centuries, the Vietnamese have considered the full moon a time to pay their respects to their ancestors, hold candlelit ceremonies at temples and generally make merry. In recent years, the quaint port town of Hoi An has taken this to the next level, switching off its fluorescent lights and raising its coloured lanterns for one night every month – when the streets are filled with crowds of locals and tourists, games, festival food and music. 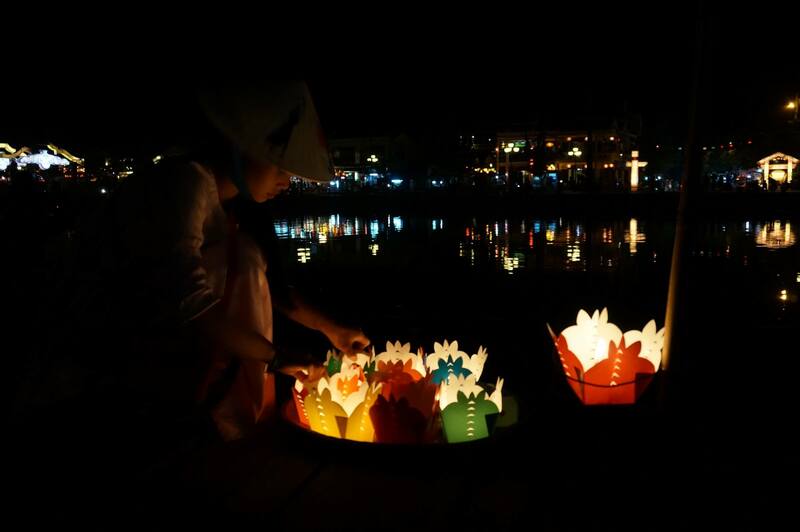 Click here to see the 2019 Hoi An Lantern Festival dates. 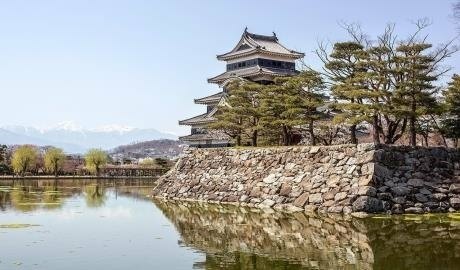 Should I visit the lantern festival? The lantern festival can certainly be fun, but it’s not for everyone. 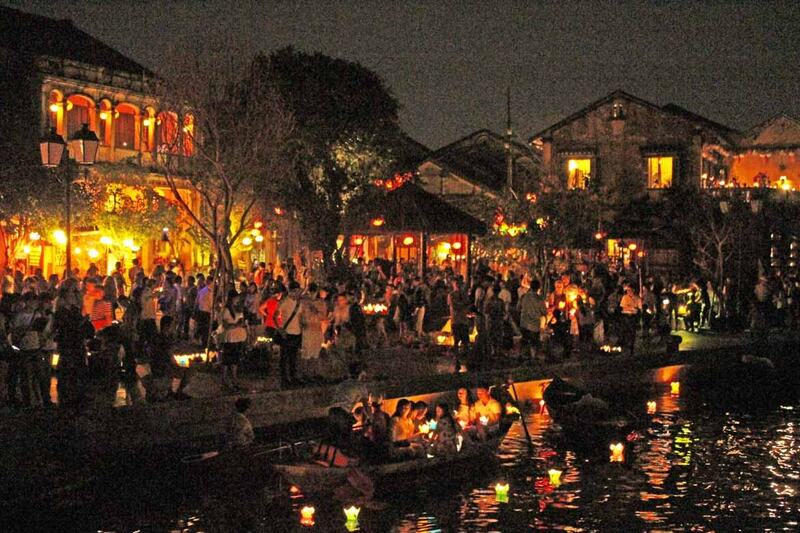 There is a lively, celebratory atmosphere and beautiful displays of floating lanterns on the river – but the crowds can be intense, and the electricity ban does not seem to extend to sound systems, which get turned up to 11. 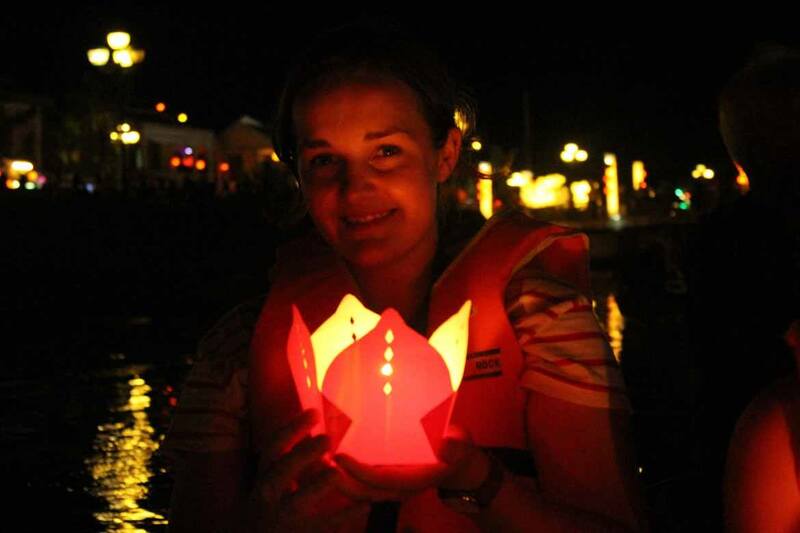 If you like a party and love to be in the thick of things – Hoi An Lantern Festival is for you. If you prefer a more peaceful experience, you’ll find that Hoi An on a regular night has plenty of charms – its daily night market packed with trinkets and crafts, its lanterns out, its bars and restaurants spilling over into the streets with locals out for a nightcap. It’s a completely personal decision, and we can’t make it for you! To start planning your trip to Hoi An, get in touch with our team of Southeast Asia travel experts.